Chairs upholstered in "Melting" jacquards. "Framed Melting Yellow" tapestry panel. Martyn lounging on chair upholstered in "Cézanne's Shadow" fabrics. From Martyn Thompson Studio in New York, "Cézanne's Shadow" is a unique collection of fabrics filled with a sense of romance, that marries Thompson’s personal art practice and textile collection. 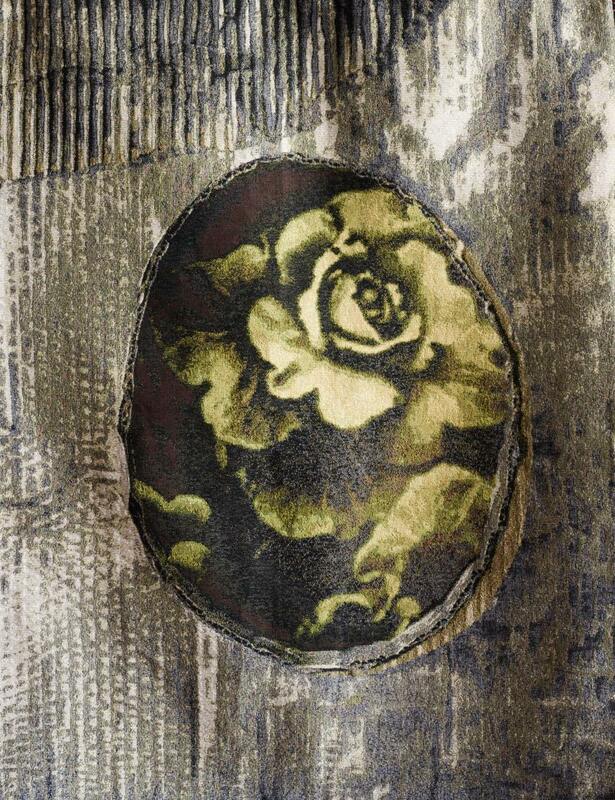 The painterly photographs from his exhibition “Falling In Love At The Institute” have been constructed on a tapestry loom for interior applications, coupled with a single yardage and wallpaper design, "Melting" - a pattern filled with the inky blooms of the cabbage rose. The tapestries, inspired by a viewing of Cezanne’s “Vase with Tulips” at the Chicago Institute of Art, are an expression of simple beauty and romance. "Melting Midnight" wallpaper and bed with King Euro tapestry pillows, alongside a ceramic "Quarry" lamp by MTS and Dove Drury Hornbuckle. 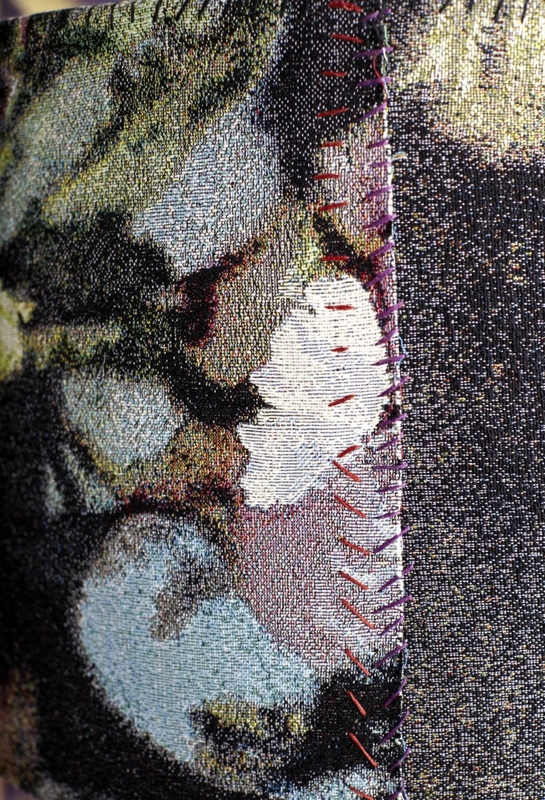 Stitching detail on a MTS tapestry lamp shade. Ceramic "Quarry" lamp, in emerald by MTS and Dove Drury Hornbuckle.